What better way to spend a Sunday morning than moseying through TJMaxx at the new beautiful outdoor mall near mi casa, Ridge Hill. By choice 7-8 years ago, my bedroom walls are a Pepto Bismol pink. That has to change… like yesterday. I’ve spent the last couple of months pinning photos of how I can make over my room to reflect a more-mature ME bedroom that I do not want to leave every morning. I’ve been slow to kickoff the project because I’d like someone to give me an idea of how to rearrange everything but I’m going to just give it a go myself and I cannot wait to get started. I’m going to get rid of some clunky furniture (night stand, bookshelf, and hidden computer desk,) and bring in some great statement pieces like a cafer chair (or chaise or chair and a half) a great rug, pillows etc. 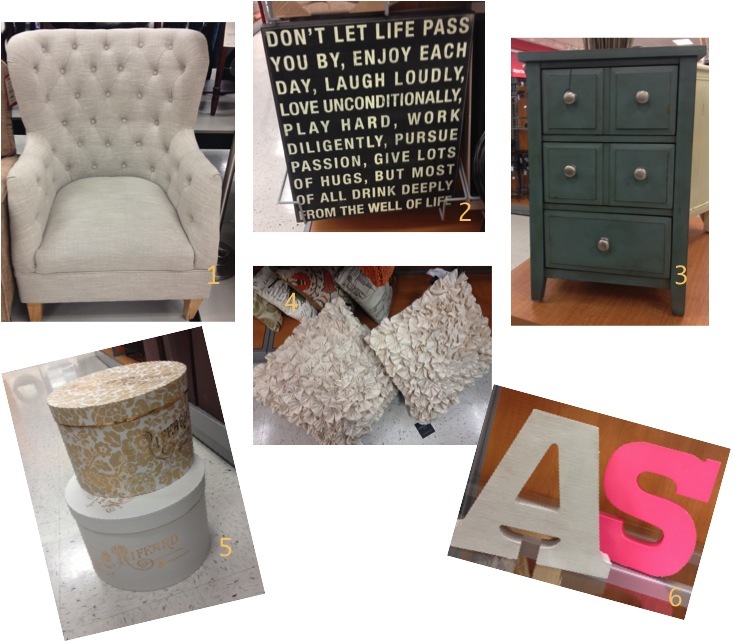 Thanks to these lovely inspirational pieces, I’m starting my room next weekend! I’ll totally document the process here on Suazmo so stayed tuned!